The third annual prefabAUS conference is fast approaching, with this year’s event less than two weeks away. Focusing on the theme of ‘delivering next generation buildings', prefabAUS has assembled industry experts from Europe, USA, New Zealand and Australia. Key issues to be addressed at this year’s conference include the benefits prefab construction and advanced manufacturing processes can bring for more affordable housing and how new technologies and materials, such as Cross Laminated Timber, help deliver faster and more environmentally friendly developments. “In Australia we have been cushioned by a milder climate, but concerns around carbon emissions and rising energy prices concerns are focusing attention on how to deliver superior buildings,” prefabAUS CEO Warren McGregor said. “Engineered wood in the form of Cross Laminated Timber, glulam and LVL offers exciting new design and sustainability opportunities,” Mr McGregor said. The opportunities this creates for mid-rise timber structures will be addressed at the prefabAUS Conference by international speaker Paolo Livisci, who is an author and expert in Industrial Technologies – Timber and former CEO of Italian Timber Design Bureau, brought out to Australia by Wood Solutions. Other prefabAUS Conference program highlights with international speakers include the keynote presentation by Ryan Smith, from The University of Utah’s Integrated Technology in Architecture Centre. He will explore the opportunities, challenges, benefits and futures for offsite construction, underpinned by his extensive industry engagement, research and case studies. Harvard University Graduate School of Design, Director of UPSTATE , Professor Marc Norman will discuss his international exhibition on Designing Affordability: Quicker, Smarter, More Efficient Housing Now that was recently held at the Centre for Architecture in New York. The exhibition will feature at prefabAUS Conference. 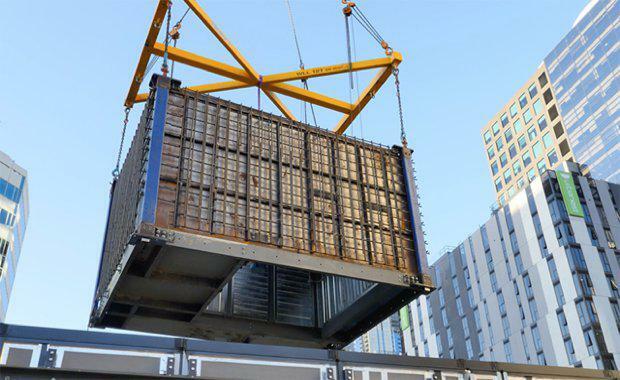 Local industry experts from architectural, construction and development sectors will showcase the best in prefabricated and offsite technology and design in Australia, and discuss the future of the built environment. The Urban Developer is proud to partner with PrefabAUS to deliver this article to you. In doing so, we can continue to publish our free daily news, information, insights and opinion to you, our valued readers.